“This is going to land like a bomb” in the region, a former Latin America diplomatic official told the New York Times in this morning's explosive lengthy report detailing how the Trump administration held covert meetings with Venezuelan military coup plotters targeting President Nicolás Maduro. The "clandestine channel" involved contacts with what are described as "rebellious officers" bent on bringing about regime change with the help of Washington. The astounding revelation — though perhaps familiar-sounding when considering the historical string of coups and CIA covert interventions across the 20th century from Cuba to Nicaragua to Chile — comes just over a month after a bizarre assassination attempt involving two C-4 explosive laden drones which detonated near Maduro as he gave a televised speech during a military parade in Caracas. At the time the Venezuelan president pointed the finger at Washington, claiming right-wing factions connected to Columbia and Florida and backed by the United States were behind the sensational attempt on his life; meanwhile some American pundits raised the question of whether it was a 'false flag' staged by Maduro himself, given the strangeness of the event. Though the August 4 events remain very much a mystery, the new revelation of White House-sponsored coup plotting meetings are sure to add fuel to Maduro's ravings against Washington, and will further be utilized to blame external forces for causing Venezuela's collapsing economy and failed infrastructure. More "moderate rebels" in Washington's eyes perhaps? Once again America's covert proxy forces are revealed to be those most eager and willing to do their paymasters' dirty work. The report details several secret meetings between the Trump administration and military officers to talk about potential coup plans, but according to Times sources "the coup plans stalled". The meetings were spearheaded by someone simply described as a "career diplomat". 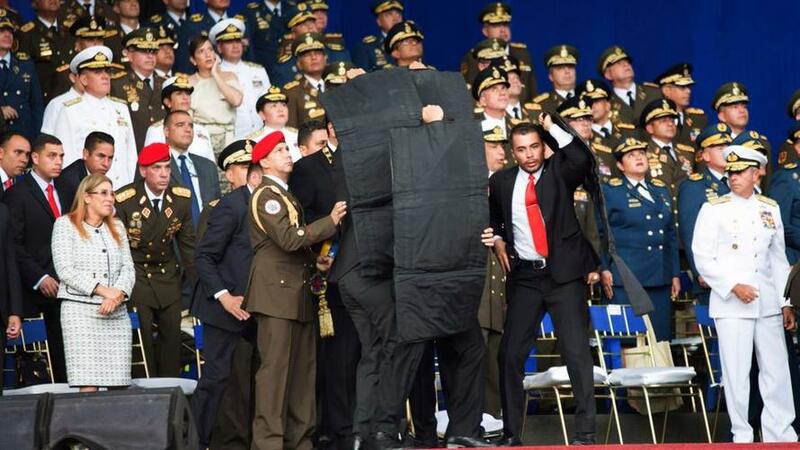 Maduro shielded by his security during last month's bizarre drone assassination attempt. Eleven current and former American officials spoke to the NYT for the story, which also involved interviews with a top former Venezuelan military commander that took part in the plotting. Under the Obama administration Venezuelan officers were also said to have approached the White House, only to be rebuffed; however, Trump offered a new opening when in August of last year, he declared the United States had planned a “military option” for Venezuela. Dubiously, the NYT's sources claim the White House did not order such equipment and military supplies to be transferred — something which likely would fall under the CIA's role if the plan did indeed move forward to that point. Instead, according to the report, "American officials did not provide material support, and the plans unraveled after a recent crackdown that led to the arrest of dozens of the plotters." The secret talks were reportedly dropped and the mutinous officers on their own. With the NYT story now going viral this weekend, the White House's prior maneuvers will likely produce huge backlash in the region, and bolster Maduro's standing among his leftist constituency. 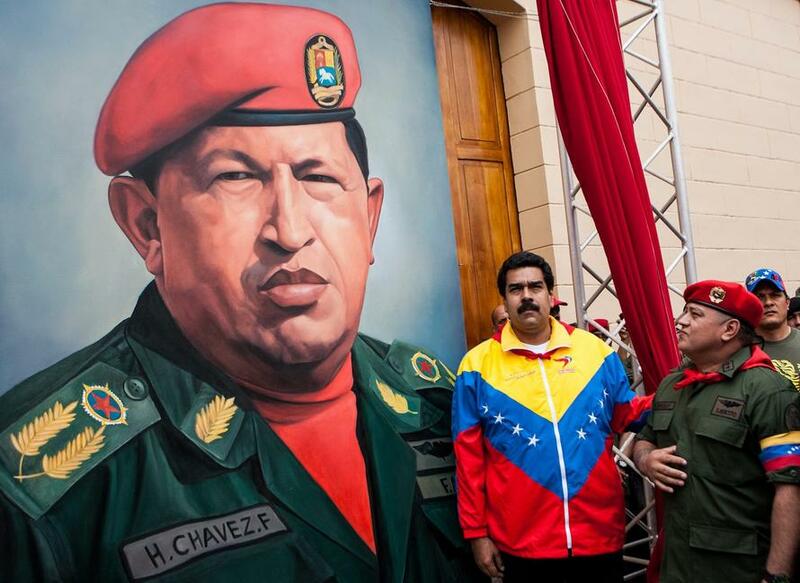 The report concludes that "Mr. Maduro has long justified his grip on Venezuela by claiming that Washington imperialists are actively trying to depose him, and the secret talks could provide him with ammunition to chip away at the region’s nearly united stance against him."